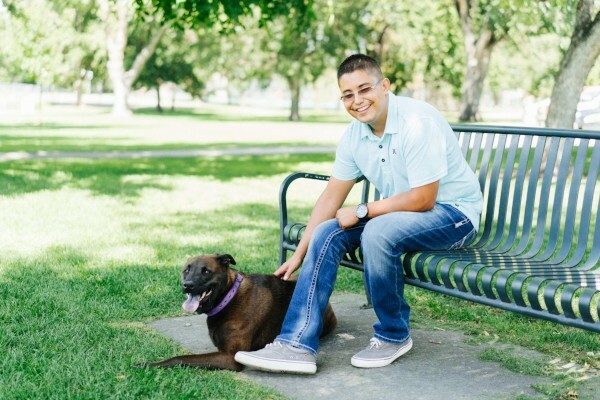 At 14-years-old, Freddy Baeza was diagnosed with osteosarcoma after his leg broke during gym. Now 27, Freddy reflects back on this experience as ‘a beautiful memory’. At the time of his diagnosis, Freddy was living in Ulysses, Kansas, a small town in the southwest corner of the state. His family decided that the best option for their son was to travel to Denver for treatment. 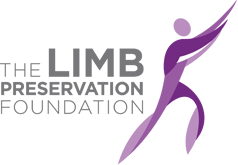 Under the care of oncologist, Dr. Julie Zimbleman, and orthopedic surgeon, Dr. Cynthia Kelly, Freddy underwent nine months of chemotherapy, as well as a limb-salvage procedure to remove the cancer and save his leg. “I owe so much to Dr. Kelly and Dr. Julie because they never left my side,” remembers Freddy. When Freddy was 19, Dr. Kelly replaced his internal prosthesis with one that would suit him better in his adult life. This surgery was assisted by plastic surgeon, Dr. William Brown and orthopedic surgeon, Dr. David Hahn. 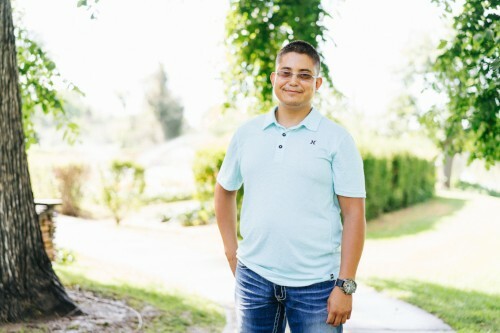 Inspired by the care he received throughout his childhood, Freddy is going to school to become a Registered Nurse and hopes to one-day work in the Emergency Department at the hospital where he was treated. He encourages anyone going through a similar experience to know that through the hardship, there is always light in the support of those who love us. Alba is a sweet 5-year-old Chocolate Lab mix who was diagnosed with osteosarcoma in her front right leg in September of 2015. After weighing options on where Alba should be treated, her family decided on the “obvious choice” of Colorado State University Animal Cancer Center. At first, Alba had a hard time adjusting to life as a cancer patient and amputee. For about a month after starting treatment, Alba couldn’t even be bothered to greet the mailman, one of her favorite activities. Finally though, Alba was back at the window waiting for her old friend, wagging her tail like she always used to.